Chess has become quite a magnet at schools across the American landscape. Schools at every level have sought to have chess as either a recreational activity or one that is an integral part of their school curriculum. One of the largest tournaments in the U.S. history was the 2013 Supernational held in Nashville, Tennessee in May drew approximately 5,335 students from around the U.S. including Hawaii and Alaska. However some schools struggle to make the trip which can cost between $10,000-$20,000 to send a group of student and chaperones. a very interesting chess experiment. There was a very interesting story years ago out of Moten Elementary in Washington, DC where chess blossomed for a moment. Later it become an unfortunate casualty. 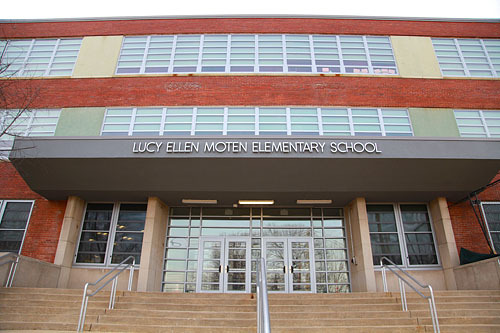 The Moten Center for Special Education in Washington, DC, is program at the school for behaviorally-challenged students. Many of these students were expelled from other schools and were deemed “unteachable” due to outbursts and conflicts with other students. Moten was the subject of a very touching video profiling the successes of the program. Vaughn Bennett was the volunteer coach who spent afternoons engaging the students in the finer points of chess. The video showed the enthusiasm and perhaps debunked many of the stereotypes of students in these schools. Despite the success of these programs, they are often under-funded and the first to be cut in the midst of budget contraction. 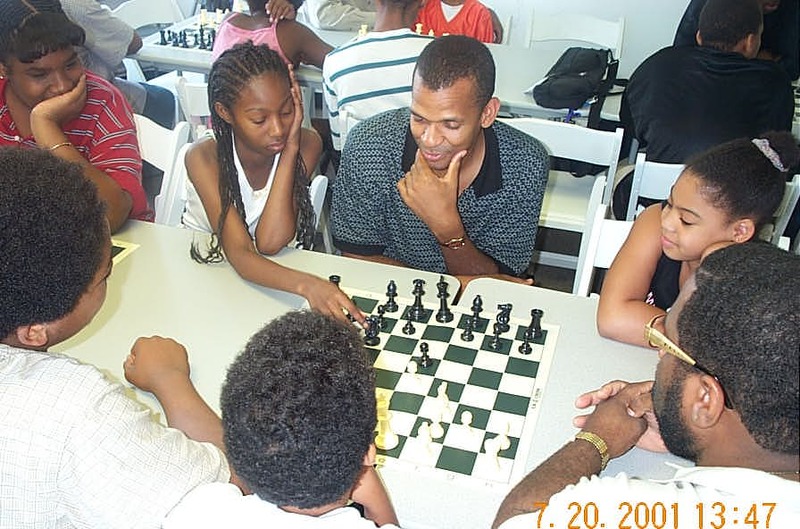 Watch touching 2004 video on DC Moten Center Chess! The case of the Moten Center was even more tragic. After collecting nearly $100,000 for the Moten Center programs, the students went to the 2003 Supernational tournament with much fanfare. When they returned the remaining $70,000 was looted. Left behind was a trail of bank and over 100 ATM withdrawals. Checks were also allegedly cashed by the appointed financial manager entrusted with the account. This set off an investigation, firings and loss of the program. The pertinent question here is, “What happens to these kids?” After the program was dissolved, at least two of the players were killed, a few fell on the wrong side of the law and one ended up ostracized because of his sexual orientation. Others excelled in academics and sports including Havangela Spears who went on to win honors in DC girls basketball. The outcomes vary, but for the most part, the program is a distant memory of good that can come from such programs. The video shows that schools like Moten could benefit by more support to help students gain confidence in other endeavors. The data are there to show that these programs, if properly funded and managed, can yield immeasurable benefits in personal and professional development. Children seem pleasantly drawn to the mysteries of the chess. Chess masters Stephen Muhammad (center) and Norman Rogers (lower right) instruct students during an exercise on rest day of the Wilbert Paige Memorial. GM Ashley with Dr. Henry Louis Gates on chess as an educational aid. It has been said many, many times, but many programs go unfunded and eventually dry up with volunteers have to come out of pocket so often. HEAF eventually pulled the plug on the after-school chess program, but they continued supporting chess in the community. With the chess experiencing exponential growth at the youth level, more organizations are starting to latch on to the notion that chess provides a positive social environment that not only entertains, but educates while providing structure and discipline. We certainly want to avoid casualties like Moten and HEAF since for many of the students, it may be their road map to success. Kenneth Jones who was prominently featured in the Moten Center video was the subject of an article in Mother Jones about his turbulent life. Nothing about chess though. Really tragic how greed by Ms. Sandy Jones to destroy such a positive program. Dr. Boyd lost his authority over this program after being fired. Who knows? The travesty was that some of those children in the program could have maintained a positive outlet.